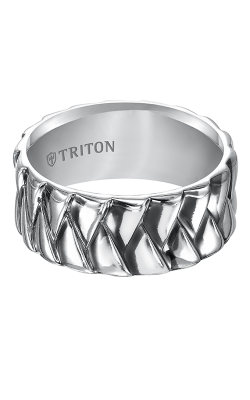 Triton wedding bands are characterized by their lack of fear in using metals not typically seen. Their multi-piece construction and rich natural colors make Triton pieces stand out from the crowd. 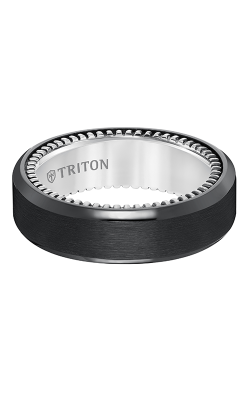 Since 1989, Triton has designed and constructed bands in a range of styles from modern to timeless. 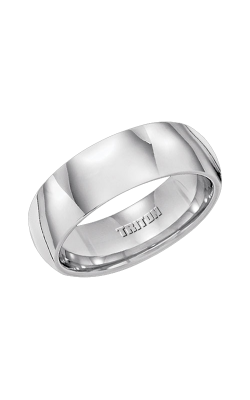 Their bands range from the classic sterling silver and stainless steel to tungsten carbon and titanium. The white tungsten Triton utilizes an exclusive unique methodology to give it a daring and bold luster, reminiscent of platinum. These metals are not only visual masterpieces, but are also designed to be durable and strong with a comfortable and relaxed fit. 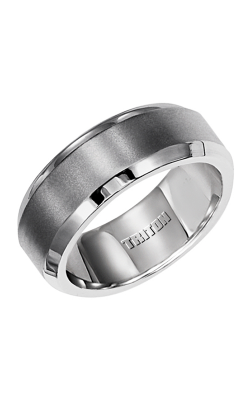 Triton wedding band collections are broken into the primary metal each piece uses. Classic metal choices like those found in the Stainless-Steel collection and Sterling Silver collection showcase Triton’s ability to turn classic metal choices into bold and brilliant designs and looks. The Sterling Silver collection boasts rope like design work and cleanly detailed cuts and shaping. For a bit of cobalt in a woven design, shop the Cobalt collection for Triton’s renowned ability to design and build bands that are both elaborate and stylish using a varying number of contemporary metals. 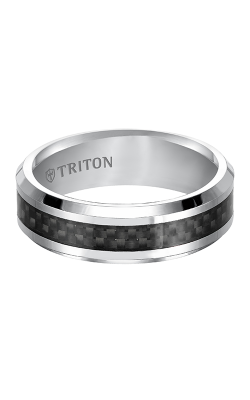 Triton presents bands in a hypnotizing black using the highly sought-after titanium. 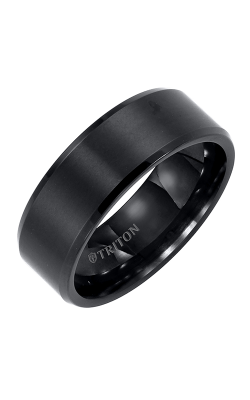 A number of these cool black designs offer a bevel edge and sterling silver comfort fit band. Attractive bead textures along the side of the band and satin finishes give these bands an added level of luxury and striking aesthetic. The Tungsten Carbide collection, with a platinum-like appeal, is crafted out of the durable and sturdy tungsten and given a whiter sheen for a more understated look. The Tungsten Air boasts the same tungsten in both black and white, with designs ranging from hammered textures to brick engraving. 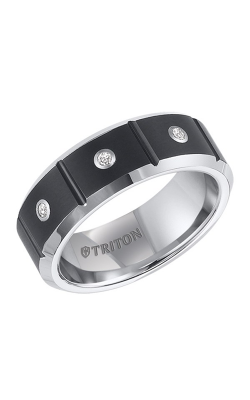 Why Shop for Triton Wedding Bands at BENARI JEWELERS? Based out of Exton and Newtown Square, Pennsylvania, BENARI JEWELERS has happily served the local communities of Philadelphia, West Chester, Malvern, Downingtown, and King of Prussia. For over fifty years, we have presented one of the largest collections of designer wedding bands, engagement rings, timepieces, and fashion jewelry. Our expert in-house staff offers a wide variety of services including onsite jewelry cleaning, resizing, polishing, and repairs. To help you get the bridal piece of your dreams when you want it, we offer financing options as well as a 100% satisfaction guarantee. Contact either of our stores directly for additional information on products, services, and more.